Miss Berry is receiving a letter about a check she is being sent from Mrs. M. C. Sherlock. 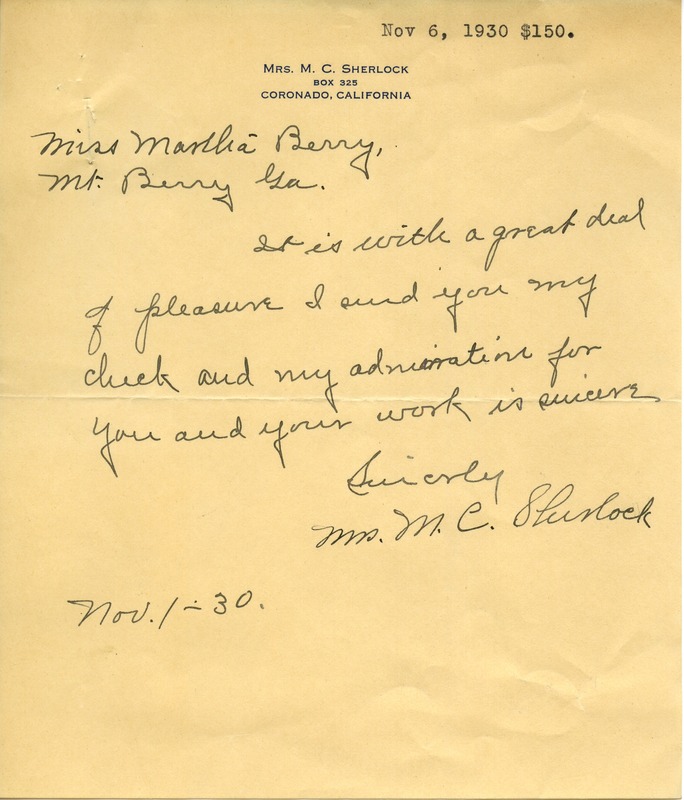 Mrs. M. C. Slunloek, “Letter to Martha Berry From M. C. Sherlock.” Martha Berry Digital Archive. Eds. Schlitz, Stephanie A., Jordan Brannen, Chelsea Risley, Ashley Schucker, et al. Mount Berry: Berry College, 2014. accessed April 20, 2019, https://mbda.berry.edu/items/show/14010.